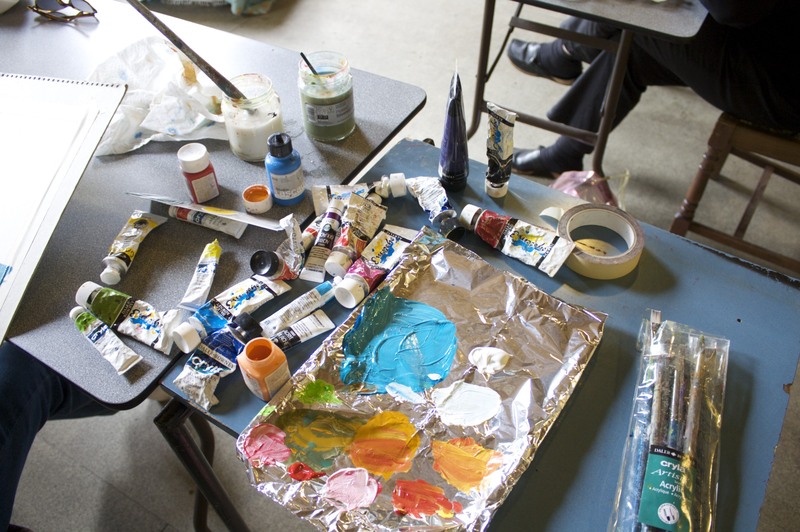 We are now taking bookings for the spring term of our Painting with Watercolours and Acrylics art course. This class is the perfect opportunity to learn the basics of two wonderful paint mediums; how to mix, blend and layer watercolour and how to apply acrylic. Explore how to make dynamic compositions that produce interesting paintings using still Life, photographs and sketches as inspiration. On warm days in the Spring and Summer, this class is sometimes taught outside, taking advantage of the stunning scenery of Waterlow Park. Our art tutor, Sharon Finmark, lives in North London and studied at Central St. Martins School of Art. She has had several books published on painting and drawing. The cost for the entire term is £225 (concessions £205).